For last few year we have talked and have been talking about the importance of inbound marketing however if truth be told there are a very few people who actually know about it as it should be. Rest are still very wary of inbound marketing and tame a lot of superstitions about it. Let’s go through a few most common inbound marketing superstitions. As per the recent updates by Google and other search engines blog has become a mandatory marketing tactic. One needs to add and update blog on the respective site. In fact, even if you keep the exact alogorithms by Google aside, you will find that the traffic to your website is directly proportional to the frequency of blogging. 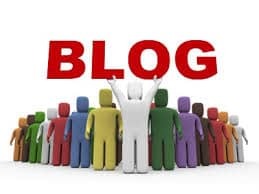 In simple words the more you blog, the more will be the traffic to your website. Studies in past reveals that the blog happens to be the most visited section of the website. The idea is that masses initially are not interested in your history or your achievements but they are looking for something that can resolve their concern , they are actually looking for information and that when you provide relevant information through your blog they get a lot of value out of it. This is the way they distinguish you from others and a trust relationship tends to get formed between you and the reader or say the customer. Besides, it is evident from the comments and social sharing of your blog that how much people appreciate and value the content that you provide through your blogs. Indeed, you don’t need to rebuild your website to go ahead with inbound marketing. Of course, you will need to add some new landing pages to bear out your informative content and you will also need to add a blog to your website, but the complete reconstruction of the website is not required. However, it is also true that most of the websites designed even a year ago do not support features required by present day website visitors. Suppose if your website is not responsive users will not be able to view it properly on their smartphones or tablets. Besides, it is not hidden from anybody how frequently people are coming on smart phones and tablets. A recent study revealed that about 17.4% of the global web use happens on mobile phones. One more important thing that needs to be talked about is you will also need to ensure the website is fully optimized for the search engines. 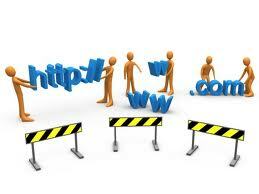 For this again, you will only need to rework with content on your website and need not rebuild the complete site. We don’t mean to say that inbound marketing is very easy and that your any endeavor will bring results. But yes you need not to be so much scared about it. It time to get rid of any superstitions regarding inbound marketing for there is a lot of data available on the benefits of inbound marketing. So you don’t need to be doubtful of the advantages associated with this type of marketing.